design : obv : blue cloth with silver fringing. in centre a set-square in silver with a silver braid border, inside "DATA" in silver cloth. Rev. 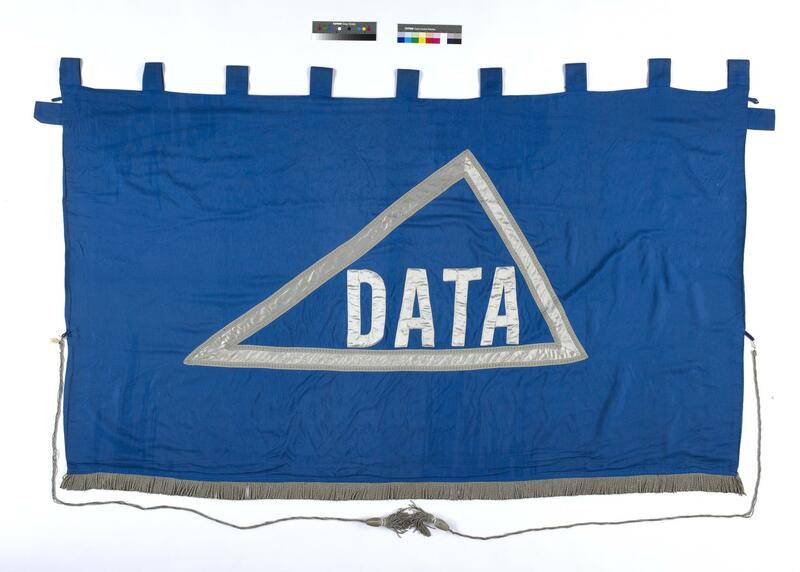 : In centre a set-square in silver cloth, inside "DATA". Above on a scroll with a silver braid border "DRAUGHTSMEN'S & ALLIED / TECHNICIANS' ASSOCIATION" in silver on a red ground. Below on a rectangle with a silver braid border "NORTHERN IRELAND DIVISION", in silver on a red ground. At each side of the banner there is a length of twisted silver cord with a tassel.